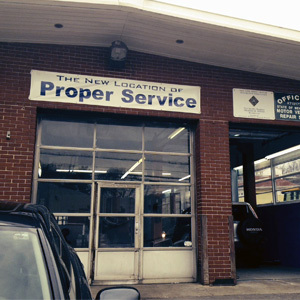 Here at Proper Service Auto Center, we have factory certified and trained technicians that can expertly repair and maintain any make or model vehicle, foreign and domestic. We work with all insurance companies. We are committed to our 1 year/12,000 mile warranty through TECH NET, nationwide. We are a NY State Motor Vehicle Inspection Station. Brake pads , rotors, shoes, drums, calipers, master and wheel cylinders. We also offer full-service towing. Give us a call at 914-428-7185 or leave a message to schedule an appointment online conveniently from our website, anytime. Proper Service is proudly associated with the following industry programs, certifications, and product offerings. The Proper Service Auto Center team offers 40+ years of combined experience in foreign and domestic service and repair. Come visit our brand new location.